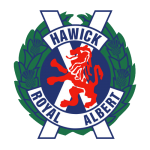 Vale go into this crucial away game at Hawick buoyed by the news that manager Chris Anderson has signed on for a further two years. This week the gaffer and his backroom team of Keith McLeod, Sean Taylor and Mark Beveridge agreed deals to remain in post until the end of the 2018/19 season. Their players will have to dig in during this Borders derby to get them their first win since signing the new deals. The Vale’s renaissance was brought to a crashing halt by BSC Glasgow last weekend, having won three and drawn one of the previous four matches. The 6-2 defeat was a hark back to the disastrous run of results earlier in the season when goals were being shipped, a problem that appeared to have been amended. In the wake of the BSC thumping, an irate Anderson stressed: “That simply isn’t good enough. “If any of the players think they can just turn up and play out the season like that they won’t be here next season. In order to prove that they can meet their gaffer’s expectations and keep their place in his squad the players will have to overcome a side who are also trying to impress. Hawick are below Vale in the table but have recently employed Kevin Milne as manager. They have shown signs of fight since the appointment with a win over Cumbernauld Colts and also running the league’s top sides, East Kilbride and East Stirlingshire, close. Chris Anderson and his coaching staff have agreed deals to stay at the Vale for a further two years. The manager has agreed to stay until the end of the 2018/19 season along with his backroom team of Keith McLeod, Sean Taylor and Mark Beveridge. In his first season in charge, the team have skirted around the mid-table positions but have shown potential to go higher. They currently sit eleventh and look certain to improve on last season’s finish. Ando is keen to continue that improvement. He said: “We want to build on the progress that has already been made since Vale became a Lowland League club. “The committee here have made giant strides off the park and this is something we want to replicate on the pitch. Shrewd dealings in the transfer market both at the start of the season and throughout have helped the team’s cause. A blend of experience at this level and good quality young players was acquired at the start, and the group has been supplemented well. Ryan Currie has been the latest addition to generate excitement. Ando told us last week that plans for next season are already underfoot with several of the current squad preempting their manager in committing for another year. “The vast majority of the squad have signed again for next season. We have started our recruitment to add to the squad and our quietly ambitious backroom team are looking for a strong finish from this group to lead into next season”, said Anderson. Match Preview BSC Glasgow: Manager’s thoughts & who are tomorrow’s visitors? Chris Anderson is expecting BSC Glasgow to be a tough opponent in tomorrow’s Lowland League clash, but his team should be ready for it after a string of fine displays. After four matches unbeaten, including a draw with Spartans and two massive away wins at Civil Service Strollers and Cumbernauld Colts, things are looking decidedly better than when a gloomy outlook beset the club amid a run of eight games without a win over the winter months, threatening to derail the season. However, tomorrow’s opponents managed a 2-0 win over Vale in the reverse fixture at Alloa’s Indodrill Stadium in October, at a time when form had been good. Anderson said: “After four very impressive performances I am the first person to give credit to my players and they can all be pleased with their contribution over the last month. The gaffer also revealed that plans are being put in place for next season, and that many of the current squad will still be around. He will be hoping Jason Stevens does the same after the forward rejected the advances of Bonnyrigg Rose during the week. “The vast majority of the squad have signed again for next season. We have started our recruitment to add to the squad and our quietly ambitious backroom team are looking for a strong finish from this group to lead into next season. Broomhill Sports Club was founded in Broomhill, Glasgow, in June 2004 as a multi-sports club for children. By 2014 the club had grown to cater for 700 children in sports including football, karate, netball and hockey. BSC Glasgow FC was launched in 2014 as a senior football team associated with the sports club, to provide a pathway into adult football for players from the youth teams. The club successfully applied to join the Scottish Lowland Football League for the 2014-15 season, and won the SFA South Region Challenge Cup in their first season. They are currently playing their home matches at Alloa Athletic’s Indodrill Stadium while they attempt to achieve their long term goal of having their own facility in Glasgow. They previously ground shared with Maryhill F.C juniors at Lochburn Park. In their first season in the Lowland League they managed a tenth place finish, improving on that to come seventh last season. They are currently tenth, only a point behind Vale in the table. They had occupied a higher league position for much for the season but, like many of the teams in the league, form has been up and down. The last two results though have been decent, an away win at Gala and a draw with runaway leaders East Kilbride. The previous meeting between the clubs this season resulted in a 2-0 home win for BSC Glasgow. In-form Jason Stevens has turned down a move to junior side Bonnyrigg Rose, while young midfielder Ross Lamb has joined Peebles Rovers on a month long loan. Stevens was given the chance to join the Super League champions, but has opted to stay with Vale until the end of season, much to the relief of manager Chris Anderson who rates the player highly. A run of sparkling form in which he scored seven goals in four matches prompted Rose to make the move, but Anderson revealed the decision was left up to the player himself. “We had a bid from Bonnyrigg during the week for Jay Stevens’ services. We felt it was only right to let the player decide and I was delighted he decided to stay for the remainder of the season at least. “It’s no secret that when a team does well individuals will shine and over the last dozen games Jay has excelled. His 29 goals partnership with Blair Atkinson is something to behold”, said Anderson. Meanwhile, 19-year-old Lamb will spend the next month at his hometown team to get some game time in the East of Scotland League, joining up with his younger brother Gregor at Peebles. 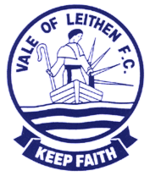 Today’s scheduled match between Vale Of Leithen and University of Stirling has been postponed due to a waterlogged pitch. Our next match will now be at home to BSC Glasgow next Saturday (March 25).